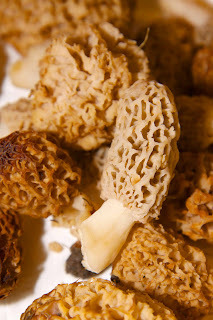 My dad used to hunt for morel mushrooms on the farm where he grew up in the Midwest. He tells wonderful tales of the whole family setting out into the woods together, and coming home with bushels of morels. My father practically stumbled upon this batch of blond morels while fishing at a pond, where they were scattered along the line of a long-ago fallen cottonwood. This is a common presentation at the lower altitudes next to the Central Rockies, where they are often found in wet saddles beneath cottonwoods. It has been my experience that they especially favor the company of narrowleaf cottonwood trees. 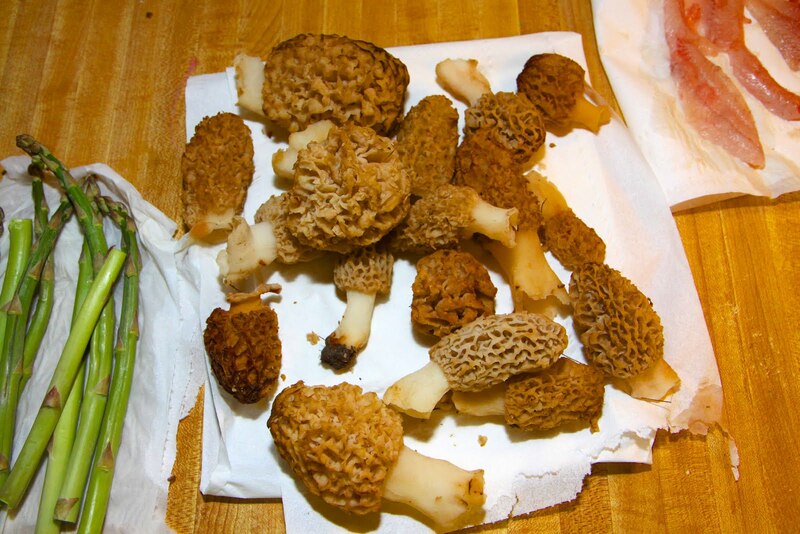 As the weather begins to heat up, I like to "chase" the morel flushes up into the mountains. Most often at those higher altitudes, I find black morels (Morchella angusticeps) in damp areas beneath areas of mixed conifer and aspen trees. If you've never before tasted a morel, you might want to add it to your food bucket list. My favorite way to serve them is to shake them around in a paper sandwich bag containing rice flour, salt, and pepper, then fry them in butter until they are crispy. I'm possessed by mushrooms, no less so by morels. Guess who I sent out on another fishing/foraging trip tonight? It would be a shame to waste the talents of a prodigy, after all. 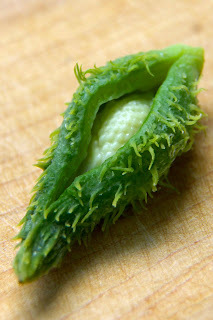 This post appears as a part of Real Food Wednesday. Head on over there and cruise through all of the great recipes and tips. 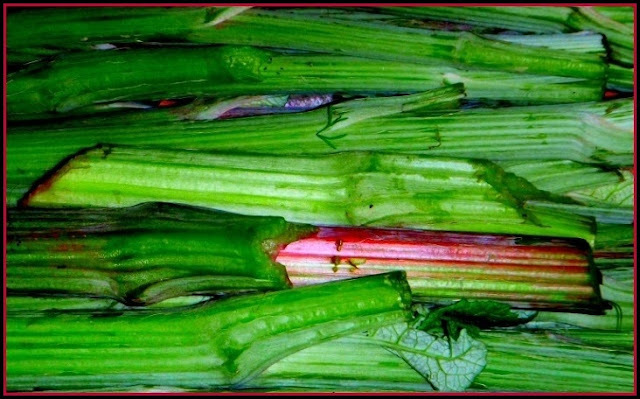 foraging for your food...what an awesome concept. I remember your post on asparagus and I was so jealous b/c I love asparagus, but I don't know anything about morels. very cool post! I was lucky enough to have another batch to eat tonight. This time, I put a big spoonful of rice flour, and some s&p into a paper bag. Then I tossed the quartered morels into the bag and shook to coat. After being fried in butter, they were lightly crispy on the outside, and very succulent on the inside.